Norah's final K4 lessons have a springtime theme. 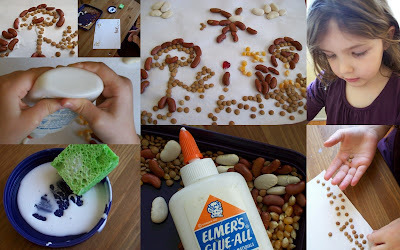 She used a handful of dried beans, lintels, corn and nearly all the Elmer's glue to make a picture. When I told her I didn't have any green split peas because I had used both bags for soup the other night, Norah said, "That's okay, Mom. I'll just make the grass dead." 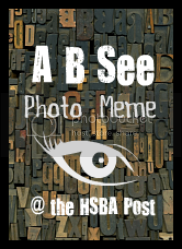 I love how you post multiple photos as collages. Seed art looks like a great March break project.